The company you are working with should be licensed, bonded and insured in your state. It is even better if they are also Master Installers with the Northwest Ductless Project. Installers should be EPA certified and licensed electricians and receive ongoing training. Your sales agreement should outline the exact Ductless Heat Pump System you will receive and you should understand the placement, cost and warranty of your system. Your installation should be scheduled in a timely manner and on a date that works best for you. You should receive a confirmation call before your scheduled appointment. Installers should arrive on time and bring all the necessary equipment required to complete the job on the first trip. Installers should be professional, efficient and considerate of your home, cleaning up after themselves thoroughly. Installers should use ozone friendly refrigerant and insulated copper linesets to connect the outdoor and indoor units. All external linesets should be covered with UV protected linehide covers. The outdoor unit should be elevated, leveled and secured properly.Installers should demonstrate how to operate and maintain the new system and review the inspection process. Installation company should provide the necessary mechanical and electrical permits and ensure your system complies with all local building codes. You should receive a follow up call from you contractor to confirm the system is working, answer any questions and ensure the system is meeting your expectations. 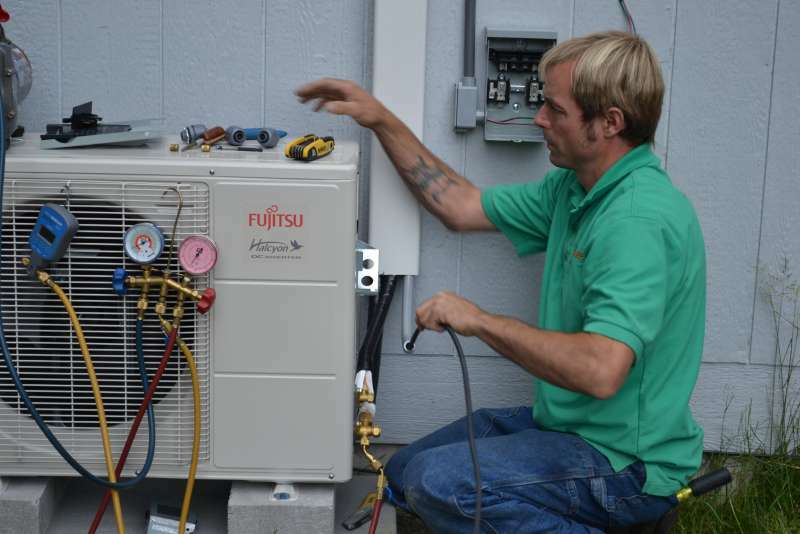 Your contractor should be available to you any time in the future to address operations, service, maintenance, warranty concerns or any other questions or issues that may arise concerning your Ductless Heat Pump.